All is fair in love and auto maintenance. Beau Winston is the nicest, most accommodating guy in the world. Usually. Handsome as the devil and twice as charismatic, Beau lives a charmed life as everyone's favorite Winston Brother. But since his twin decided to leave town, and his other brother hired a stunning human-porcupine hybrid as a replacement mechanic for their auto shop, Beau Winston's charmed life has gone to hell in a handbasket. Shelly Sullivan is not nice and is never accommodating. Ever. She mumbles to herself, but won't respond when asked a question. She glares at everyone, especially babies. She won't shake hands with or touch another person, but has no problems cuddling with a dog. And her damn parrot speaks only in curse words. Beau wants her gone. He wants her out of his auto shop, out of Tennessee, and out of his life. The only problem is, learning why this porcupine wears her coat of spikes opens a Pandora's box of complexity--exquisite, tempting, heartbreaking complexity--and Beau Winston soon discovers being nice and accommodating might mean losing what matters most. 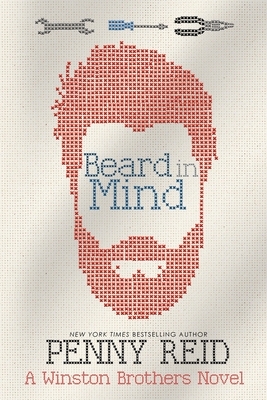 'Beard in Mind' can be read as a standalone, is 130k words, and is book 4 in the Winston Brothers series.